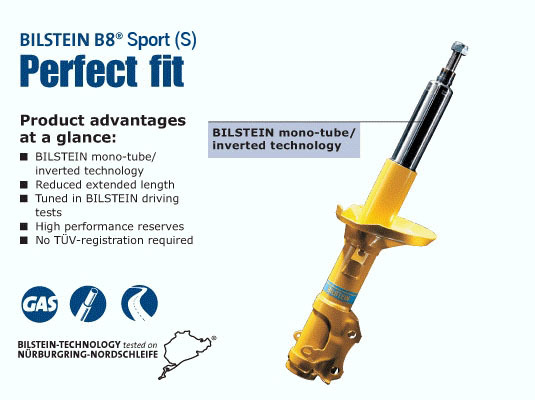 Take your E90 to the next level in suspension performance without breaking the bank with Bilstein front Struts!!! Are you ready to take your E90 to the next level in suspension performance, but are not looking to break the bank? ModBargains has your answer with a new set of Bilstein Sport or Heavy Duty Struts. 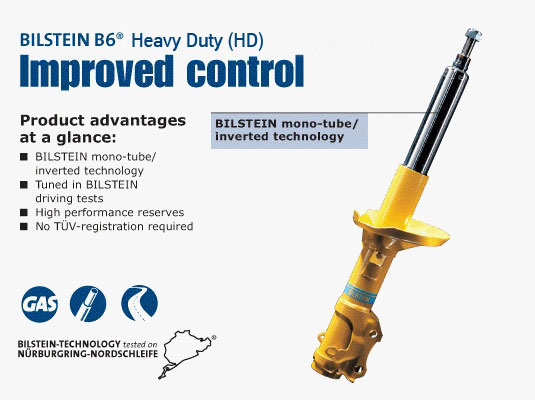 Bilstein has perfected their design to make the most advanced shocks on the market. Each individual shock is tested and fitted for a flawless and high performance ride for any application. Part numbers F4-VE3-E246-H0, F4-VE3-E246-H1 and F4-VE3-E246-H2 has been changed to 35-142461. Part numbers F4-VE3-E245-H0, F4-VE3-E245-H1 and F4-VE3-E245-H2 has been changed to 35-142454.